Kiddo’s birthday was yesterday. There was just enough family, there were way too many presents, there is never enough cake. She had a crazy fabulous fun time. I can’t believe I have a three year old. You’d think I’d get used to it eventually but so far, nope. 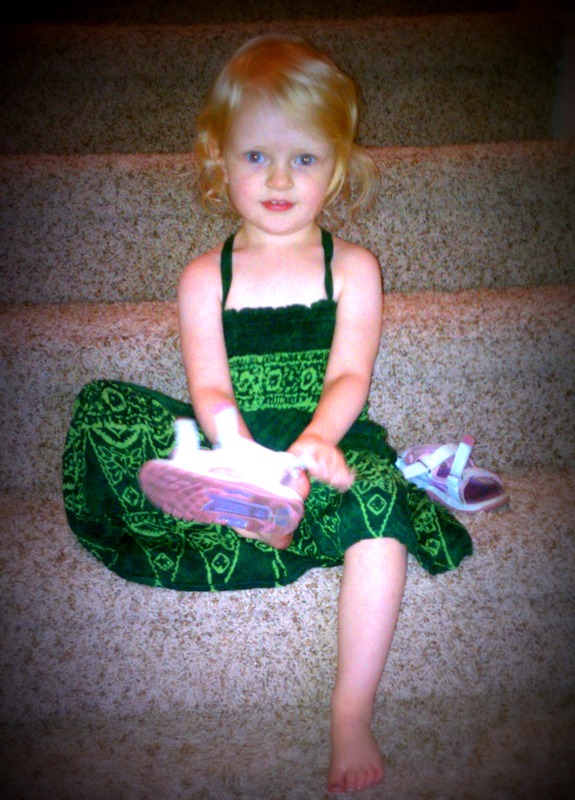 She’s a blessing and a source of much love and frustration in one tiny fireball of a quirky little girl package. And now she does both and so much more. It’s funny to think that I have blogged about her her entire life. As a matter of fact, here is the post from the day she was born. Yeah, that one is pretty bare bones huh? Here’s a few more entertaining ones that I posted after I’d had time to smack my forehead multiple times and moan “what have I DONE?? ?”…I keed I keed. The one where I say WTH have I done? Anywho, since then the rollercoaster continues but we’ve made it three years! Fifteen more and she has to pay rent right??? Such a lucky kiddo to be raised by cool and loving parents. Happy birthday to your sweet Sam. and she is beautiful and loved. hope everyone had a great day. love you guys. Ha! Proof that I’ve reading you for over 3 years (as Heartbreaktown)! I remember one of the first times I saw this blog there was a picture of your big ol’ preggy belly! hahaha!